So I tried the waterproof makeup remover and it was LOVE at first use. It removed all my makeup without me having to rigorously scrub my face. The cloth was really soft and durable at the same time. However I did feel like my face was oily at first when I used it but it quickly dissolved in my skin making it feel so nice and soft! 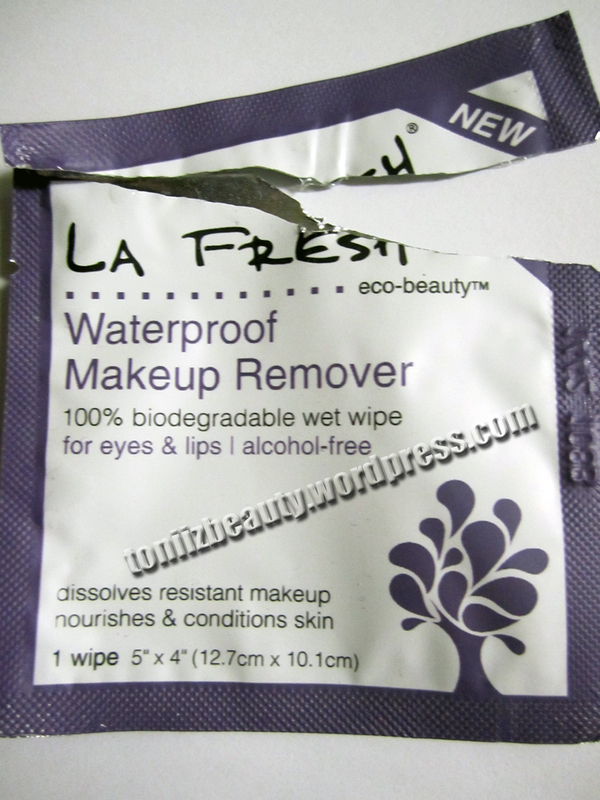 My instant reaction was that these are the best makeup remover wipes I’ve used! I also love that they come in these packets because they are super convenient to tote around. This is beneficial for my makeup kit when I’m on gigs. These packets are better than carrying a big pack of makeup remover wipes and I dont have to worry about the wipes drying out since they are individually packaged. What I didn’t enjoy too much was the smell, it was that earthy smell but it has natural ingredients so its not a deal breaker for me. The waterproof makeup wipe contains ingredients such as olive oil, jojoba oil, grape seed oil to name a few and the wipes are biodegradable! So in summary they are eco friendly, cruelty free, and amazing! 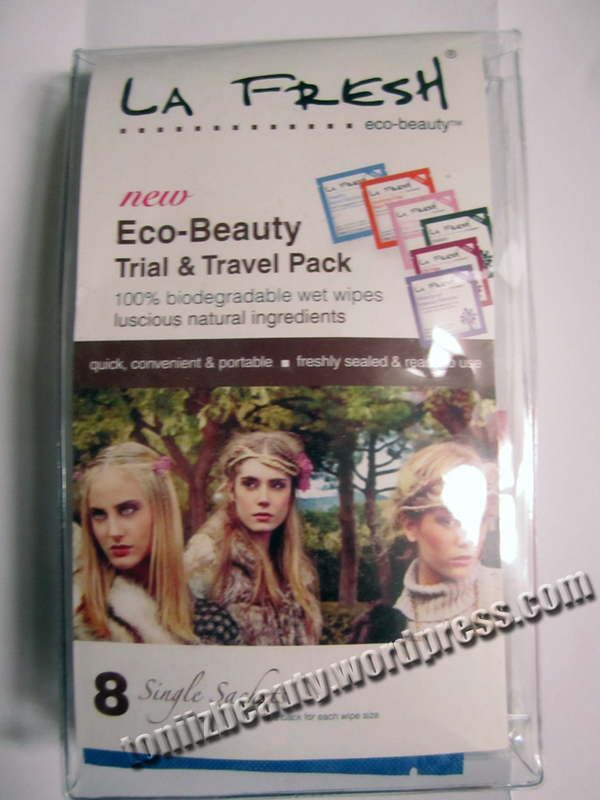 * The Eco-Beauty Trial & Travel Pack was given to me by LA Fresh for my review. These are my honest opinions. I love them too! I also just tried the nail polish remover.. AMAZING as well.